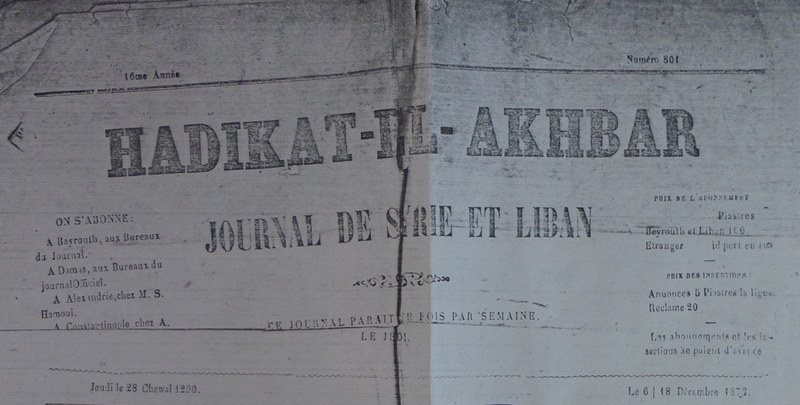 Tinco makes the front page of Beirut’s French-language weekly Hadikat-el-Ahbar – on 6 December 1873. 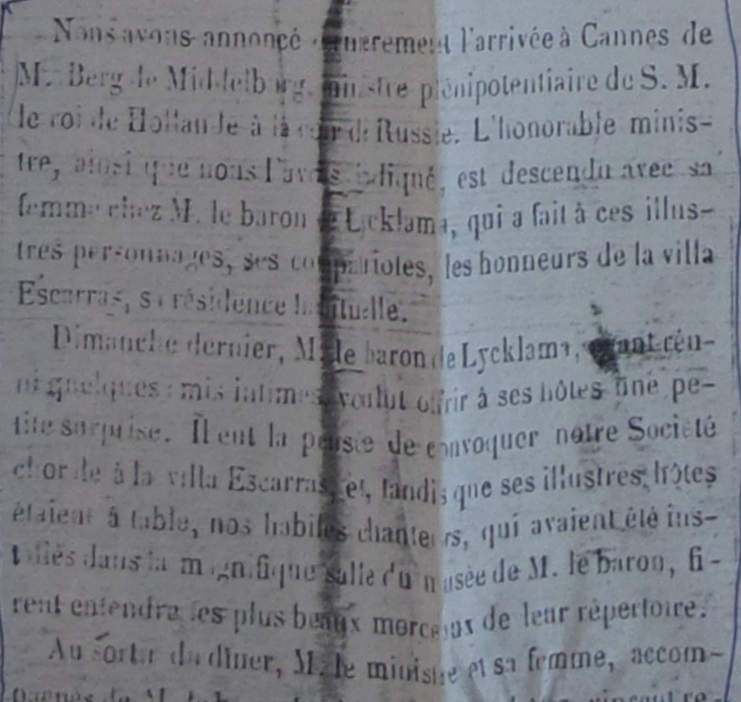 In fact, the newspaper is reporting the news that appeared earlier in the Courrier de Cannes, about one of Tinco’s famous costumed balls that took place on 9 November 1873, at the Villa Escarras in Cannes. 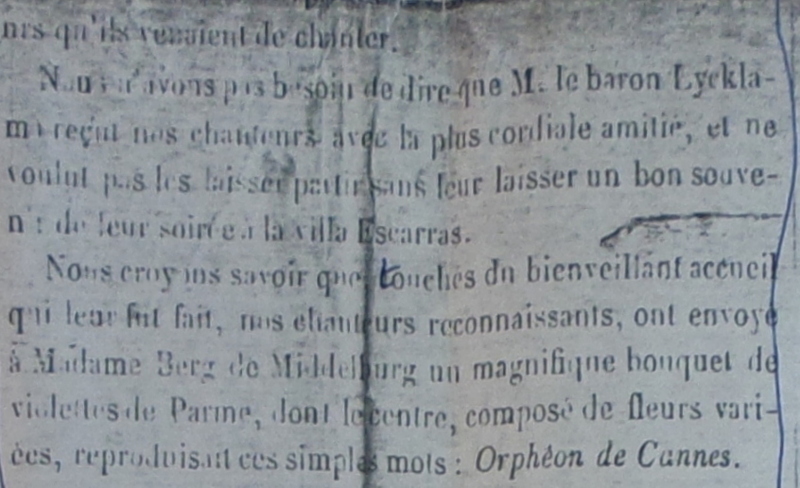 The Beirut paper suggests that the news will please the many friends of Tinco who have fond memories of his stay in the city – in 1868.